Canevin and Lowe Halls connect, making two large wings for student housing. 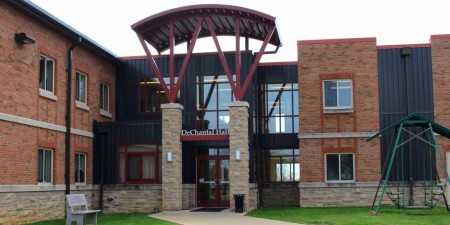 While both buildings contain university facilities (including professional offices, student organization offices, classrooms and Lowe Dining Hall) on their lower levels, the floors dedicated to student housing have their own entrances and security. A total of 134 men and women live in the buildings on alternating floors, with a resident assistant on each floor. 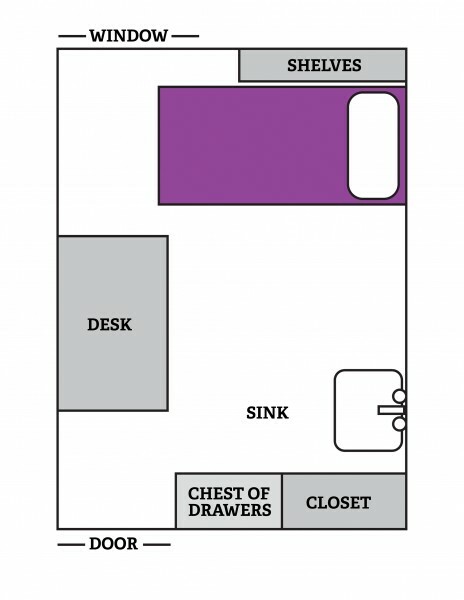 A residence life professional also lives in the buildings. All rooms in Canevin and Lowe Halls are single occupancy. The fifth floor of Canevin Hall is an official “quiet floor.” These halls also connect to Maura Hall and the Administration Building. Every room is single occupancy. Furniture in each room includes a desk and chair, bed and mattress, dresser and shelving. Bed and desk are freestanding and moveable. Closet dimensions: 33" x 92" x 21"
Drawer dimensions: 3' x 2'x 6"
Dresser dimensions: 27" x 47 ½"
Sink dimensions: 20" x 16"
Vanity mirror dimensions: 22" x 34"
Each floor includes kitchen facilities. 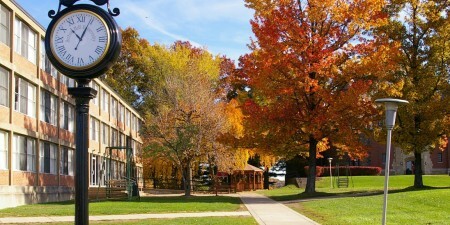 Canevin & Lowe Halls connect to Maura Hall, Lowe Dining Hall, the Post Office and the Administration Building. The 5th floor of Canevin is a designated "quiet floor."